“Ethnic Cleansing” at the TNGOP? Credit Scottie Hughes with breaking the story of a possible pogrom of conservatives inside the Tennessee Republican Party state executive committee. Recently the executive director of the state party, Brent Leatherwood, sent a letter declaring that 20 candidates for the state executive committee have been challenged as not being “bona fide” Republicans. The definition of “bona fide” is a little slippery. The “bona fide” test was originally inserted into the party by-laws to allow the state party to distance itself from the occasional lunatic who makes their way into a party office or even as the nominee for public office. In recent years, both parties have fallen victim to nutty people getting nominated, usually as a token opponent to an entrenched incumbent. But its most recent use has people speculating about more sinister motives. Invoking the “bona fide” rule has been relatively rare. But the spike in complaints, many coming from within the exec. committee, raises eyebrows. Conservative candidates are being challenged for numerous supposed violations of Republicanism, but our favorite is “conduct detrimental to the party.” Whew! A malcontent could drive a transfer truck through that loophole. If the establishment types get away with it they will send a clear signal to conservatives: The TNGOP is a private club — stay out. If Chris Devaney thinks his Star Chamber committee will be the final word on this, he is sorely mistaken. 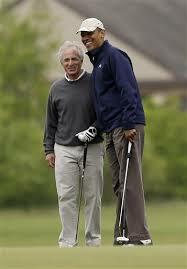 Getting all chummy and playing golf with the No. 1 enemy of the GOP would certainly seem to qualify as “detrimental” to the party. Is it? One of RTP’s older contributors (“older” as in “ancient”) remembers when Lamar! once appointed a Democrat to head the State Republican Party. Charles Overbey had been the communications director for Sen. John Stennis (D-Miss.) just a couple of years before Lamar! had him promoted to the party’s top spot. By all accounts, Charlie was and is a good fella, but at the time of his ascension, GOPers were either befuddled or quietly seething that a Democrat was the GOP chairman. Tellingly, in his official on-line biography, Overbey mentions every position he has ever held except one — TN GOP chairman. When the current governor was running for mayor of Knoxville, his opponent was a liberal, community organizer named Madaline Rogero. 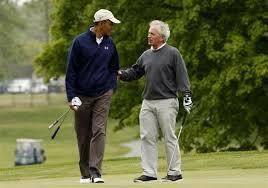 After he narrowly won, Haslam, hired her to his administration. 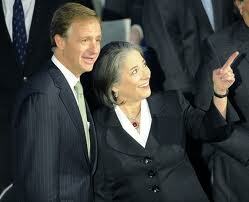 After his election as governor, there were numerous rumors that Haslam was quietly helping Rogero’s campaign. When Rogero was elected, she quickly proved herself to be the most liberal mayor in Tennessee, championing “Republican values” such as gay marriage. If the rumor mill isn’t solid enough for you, there is the Haslam appointment record. 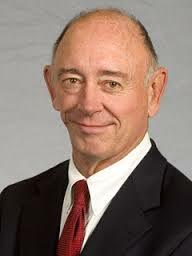 One of the most notorious is the ever-popular Kevin (“I voted for Obama”) Huffman as commissioner of education. 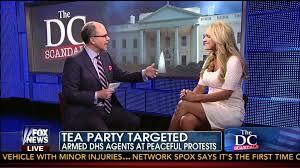 The wife of one of Huffman’s top aides at the Dept. of Education heads up Democrats for Education Reform. Nah, that’s not detrimental to Republicans, is it? Are all of the above Republican officer holders “good Republicans?” It is the consensus of the RTP that they are, at least in the broad sense of the word. But all hell will break loose if Devaney and his tribunal start trying to apply a more stringent standard to exec. committee candidates than they are willing to apply to the party’s top three office holders. Oh, and as for Brent Leatherwood, despite his attempts to scrub his resume, it should be remembered Brent was the top aide to one Scott DesJarlais — where he spent his time defending a man who is the very antithesis of the “family values” the Republican party espouses. 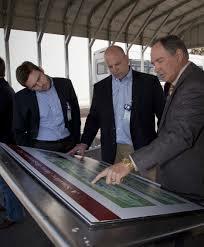 Maybe Devaney should haul Leatherwood before the same panel to determine if his top aide is a “bona fide” Republican.